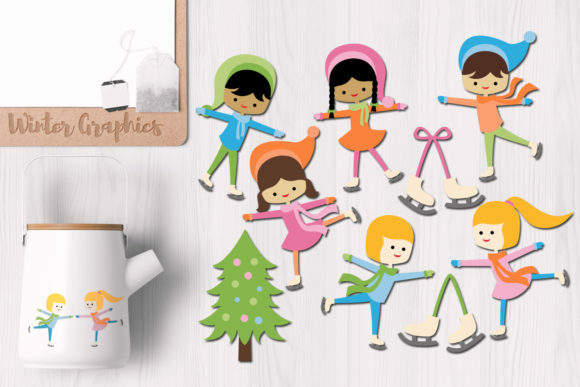 Winter Ice Skating graphics. Ice skaters. Boys and girls are having fun in winter season.